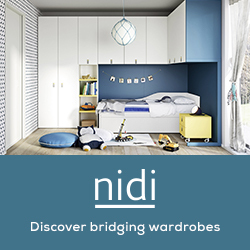 Today we want to show you a clean, stylish baby boy nursery. You’ll see so much Scandinavian goodness in this room! 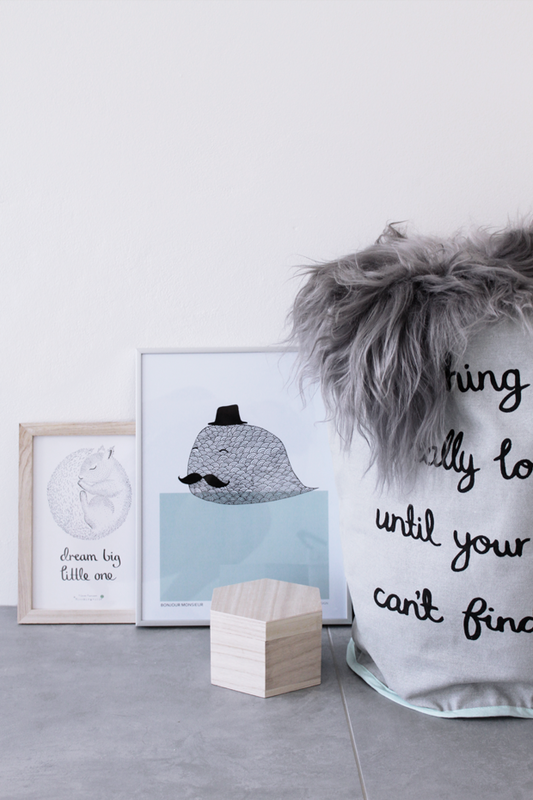 Edina Sæther from Nordic Leaves has decorated her baby’s room with beautiful details. This contemporary space is a black/white interior with splashes of color. 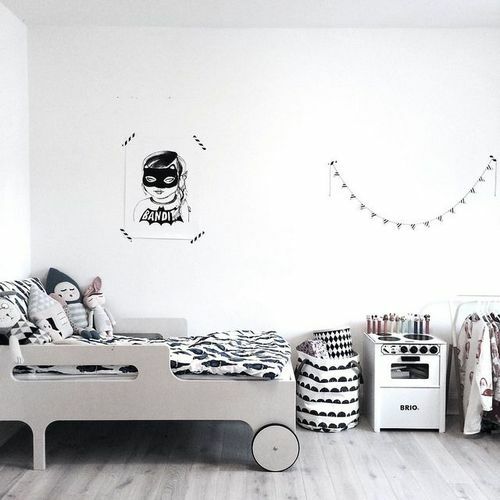 A bright, airy and fun space for a little one. 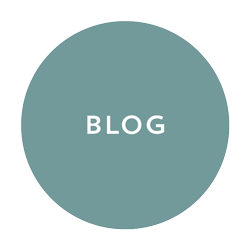 We love how she get the right balance between differents elements of the decoration. 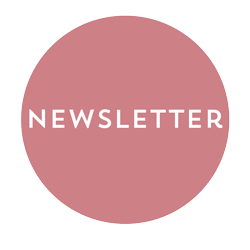 You can recognize the minimalistic String shelves and the Adventure Rug from OYOY. The posters, from Wiho Designs, Nicole Cioffe (The giraffe print) or HAM (The Seesawing Rabbit), create a perfect wall gallery. Wall stickers are a cheap and an easy way to change the whole wall. 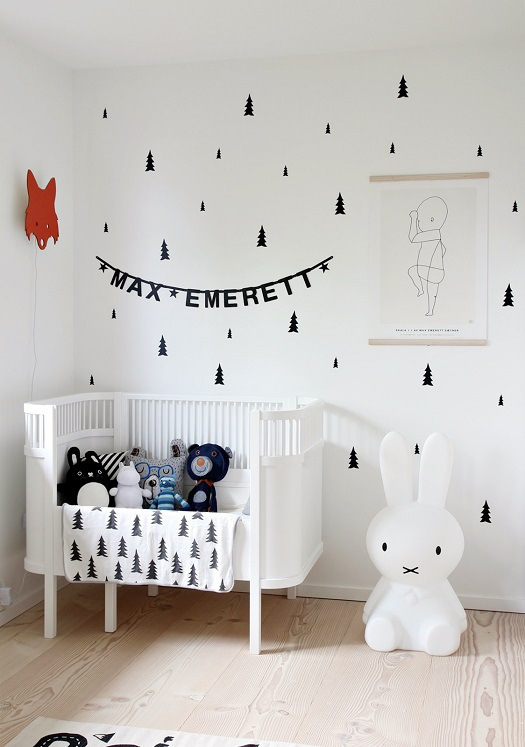 These black pine stickers combine perfectly with the Kili baby and junior bed from Sebra and the Mr. Maria Miffy lamp. This charming lighting piece exudes a soft and warm glow and adds fun to any kid’s room. The String system shows well-selected decorations, like Skull or Beech Mozart Kugeln Music Box from Acne. And how not love the wooden animals designed by Kay Bojesen? 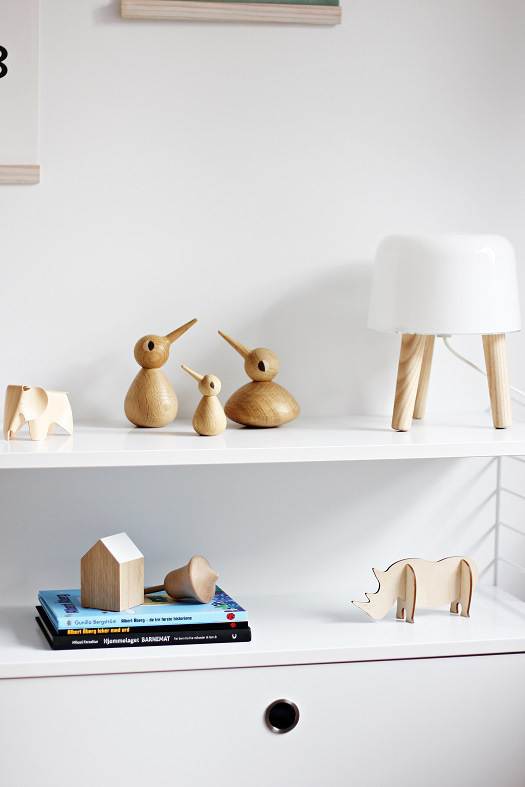 Have you seen how classics of design, like the Birds by Vedels or the Milk Lamp by NORM architects, look great in a nursery? These pieces can be moved from room to room and always fit properly, don’t you think?